What is the Merit Principle? 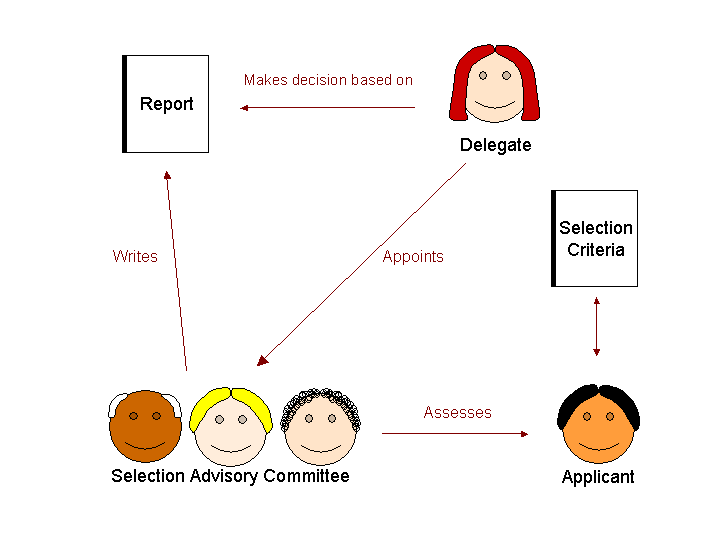 Before even attempting to put words on paper, it is worth understanding how the Public Service selection process works. If you haven’t applied for a government job before this section will explain how and why selection criteria are used and who are the decision makers. This understanding will help you to appreciate what is required in your application, and understand the sometimes tedious, complex, and long exercise. Recruitment in the Public Service is based on the principle of merit. For the purposes of this explanation, we will focus on APS (Australia Public Service; Commonwealth Government) recruitment. The process however is very similar for State, Territory and Local Governments who shape their Public Services on the Australian Government model. Their selection methods are therefore very similar and the definitions of merit, which while differing slightly in wording, pertain to the same ideals. (d)	the assessment is the primary consideration in making the decision. In brief, merit means that the best person for the job will get the job. It means that a merit assessment requires an analysis of the duties of the position, the work-related qualities required for the duties, the outcomes of the duties, and any secondary considerations that may apply. Duties of the position. Duties are tasks that are assigned to a position. The duties of a position are usually outlined in a job description (often referred to as a duty statement). Work related qualities required for the duties. Work-related qualities can include things like initiative, interpersonal skills, and team skills. They are qualities that enhance the performance of duties. “Initiative” for example is a work-related quality. Initiative may be required to compile a manual outlining the services offered by the organisation. Compiling the manual is a duty, initiative is the work related quality. The outcomes of the duties. As stated in the Public Service Act, merit requires the assessment to focus on capacity of the applicant to achieve outcomes related to the duties. If a duty states “assist in the conduct of procurement functions” then the applicant will be assessed to see if they can meet the outcome related to this duty. The outcome would be successful procurement. Secondary considerations can include things such as the ability to work various hours for a shift work position, or a driver’s license if the duties of the position specifically require driving. Merit requires a competitive selection process. It means that applicants will be competing against each other to demonstrate that they have superior work related qualities, and a higher capacity to achieve outcomes related to the duties. In order to demonstrate this, applicants need guidelines on which to frame their application, which is where selection criteria come in. demonstrated potential for further development. Applicants are generally rated against each individual selection criteria, and the highest rating applicant at the end of the selection process is the one to get the job. Commonwealth, State and Local government jobs usually require responses to selection criteria. The terminology is changing and some departments may have ‘capability statements’, ‘capability frameworks’, ‘key competencies’, ‘integrated leadership systems (ILS)’, or use Lominger competencies. Whatever the terminology, the principle is the same. These are the criteria that will be used to make a selection. Just like there are a set of criteria to determine at what level high school student is competent at maths or english, government departments use criteria to determine at what level an applicant is competent to do a job. 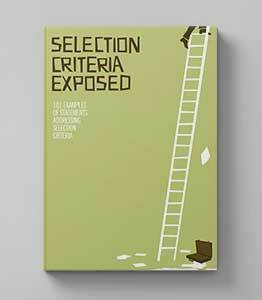 Infact, a lot of private organisations are also starting to use selection criteria. It has been estimated that over 50% of permanent jobs in the private sector are filled through networking without these positions ever being advertised. While a small percentage of government applicants may become aware of vacancies through networking, 0% of positions in the public sector are actually filled through networking. Why? The merit principle, which requires all permanent positions to be advertised, and a competitive selection process to be undertaken. You will already notice that government recruitment is very different to private sector recruitment. While it is expected that private sector recruitment is based on merit, that is, the best person gets the job, there is no legislative basis to this expectation. In reality, in the private sector the boss’s best friend can be offered job even if they are not the best person for the job. In government recruitment, who you know plays no part in the job application process and will not offer you any advantages. The expectation that all eligible members of the community have an equal opportunity to present their claims for a position is set down in legislation. Another major difference is the use of unsolicited resumes in the recruitment process. While you can send resumes or an expression of interest to private companies and recruitment agencies before there is a position available, government agencies are not able to hold on to resumes, and as such do not accept unsolicited resumes for permanent positions. If you are interested in a particular position or agency, then you must send in an application for a specific position that has been advertised as vacant. Within the public sector a Selection Advisory Committees , or selection panel, is formed to complete the selection process on behalf of the hiring manager (referred to as the “recruitment delegate”), and to present their findings to the recruitment delegate. The panel are required to prove that the merit principle has been applied, and this occurs through the production of a report that outlines all elements of the selection process. As we’ve just read, the purpose of a selection process is to gather information to make an informed decision about who is the best applicant for the job. There are a number of ways that this can be done, and a number of different selection methods that can be employed. 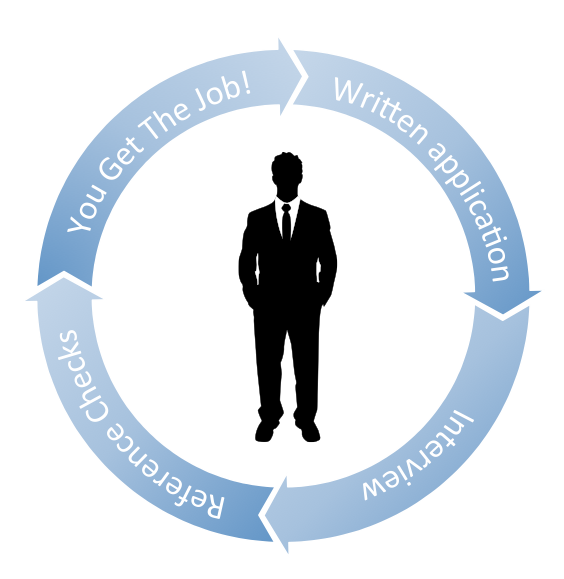 There are no legislative requirements specifying the assessment techniques to be used in a selection process, the only requirement is that the selection method/s chosen must be fair, reasonable and able to assess the work-related qualities of candidates against the work-related qualities required for the duties. 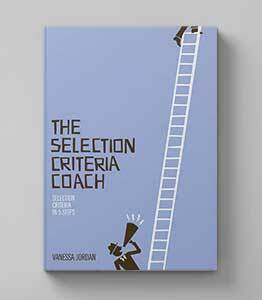 All methods will be related to the selection criteria. As you can see, the key to getting your foot in the door for an interview is to have the best selection criteria. Once you’re in the door you need to perform well at the interview. And once the interview is over, you’d better have some pretty good referees to back you up. 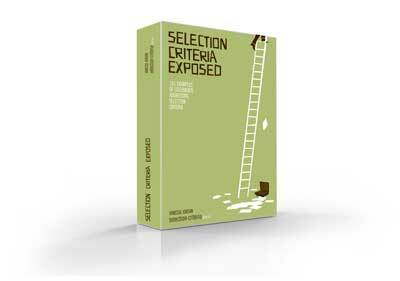 Our ebook Selection Criteria Exposed contains 200 examples of statements addressing selection criteria including a variety of responses to the 'Achieves Results' criterion. It has been produced for appliants in a hurry, and without the time to spend writing length selection criteria statements. Take a look!